Design Plantation Shutters Sydney - FREE Measure & Quote! If you’ve toured many of the new estates around Sydney lately you may have seen that many of the windows are dressed up with louvre style window shutters. These window coverings are rising in popularity because they are neat, stylish, and also very functional. You can use them to control the amount of light allowed into a room, allowing you to reduce glare, let in full sunlight, or enhance the mood lighting of a room, all with minor adjustments, as your needs dictate. 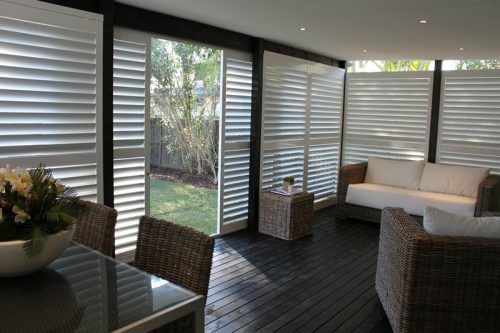 Sometimes still referred to as louvres, which was the term usually reserved for shutters with fixed slats, modern Sydney plantation shutters often have slats or blades that can be adjusted open or closed, to control the amount of light that passes through them. 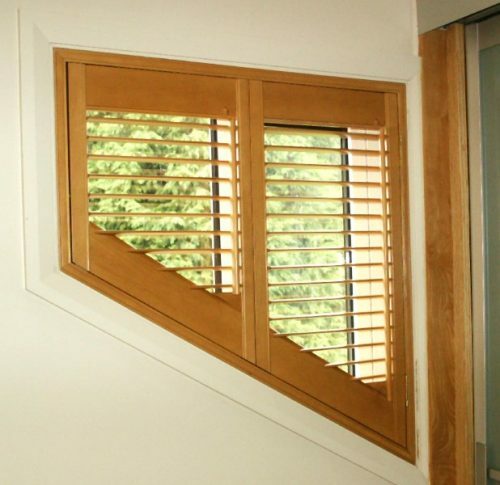 These types of shutters were historically made of wood, but today they can be made from many types of material. 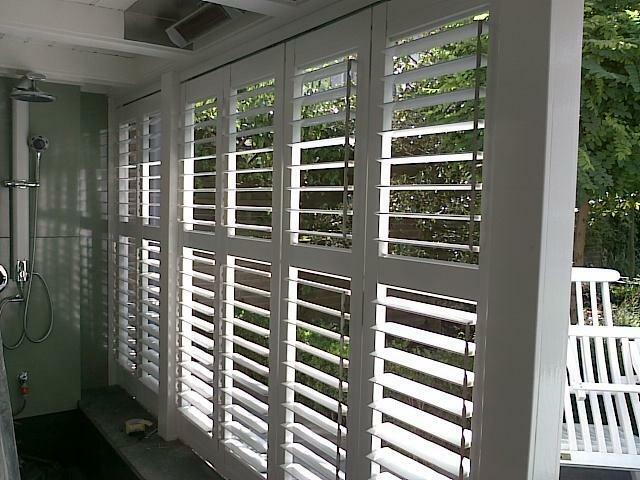 Wood shutters are still popular, particularly in high end shutters, but those looking for lightweight or less expensive options can also find them made from PVC, aluminium, and other materials. Originally used as simple window coverings, plantation shutters have expanded beyond their invented purpose, evolving to be used indoors or out. With a myriad of hinge styles, they can be used with much more flexibility, even allowing for use as doors. 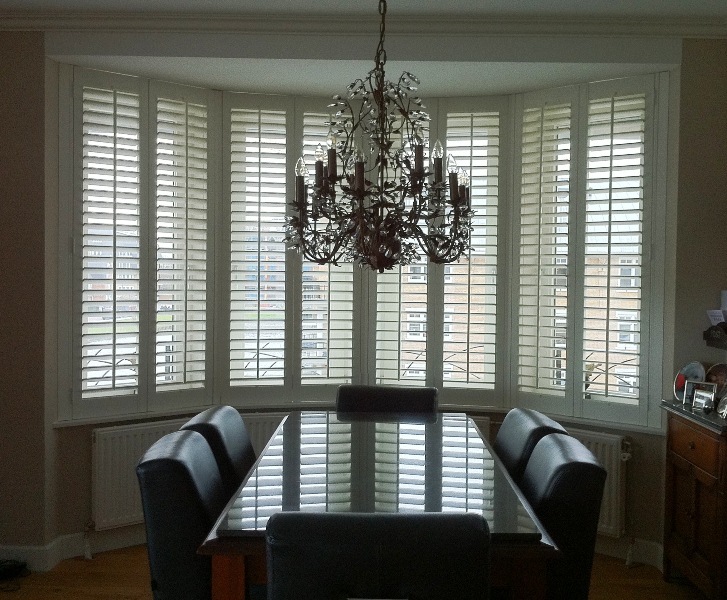 Are Plantation Shutters the Right Choice for You? 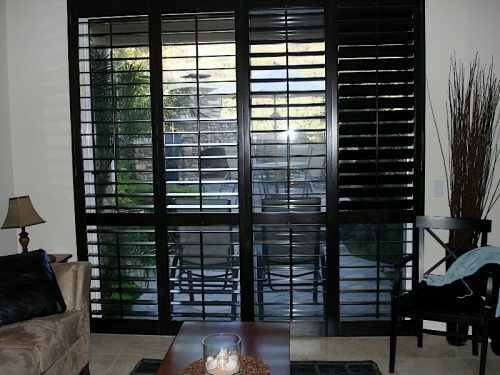 There are a variety of reasons a homeowner might choose these shutters rather than curtains, blinds, or other options. One is style—depending on which type you choose, they can give an impression of either clean-lined, casual style or unique elegance. Some designs offer a historical flair that gives a nod to the grand manor houses of old, while newer styles create a modern, edgy accent to a room that no curtain could ever impart. Other designs give a cozier impression, perfect for a comfortable family home. 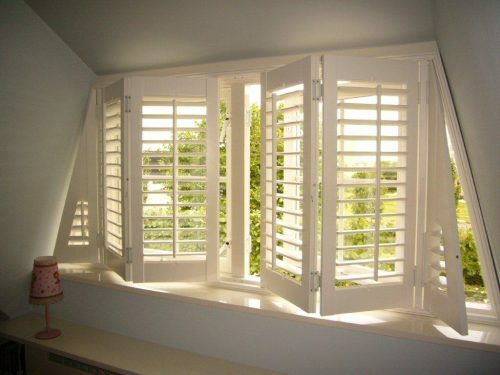 These shutters can also be a very practical choice. Their utilitarian function allows you to adjust the slats to let in a minimal, pleasing amount of sunlight, or open them wider for a brighter atmosphere, or throw back the shutters entirely to flood a room with light. On warm summer days, you can keep the shutters closed, blocking out light and keeping your room cool and comfortable. 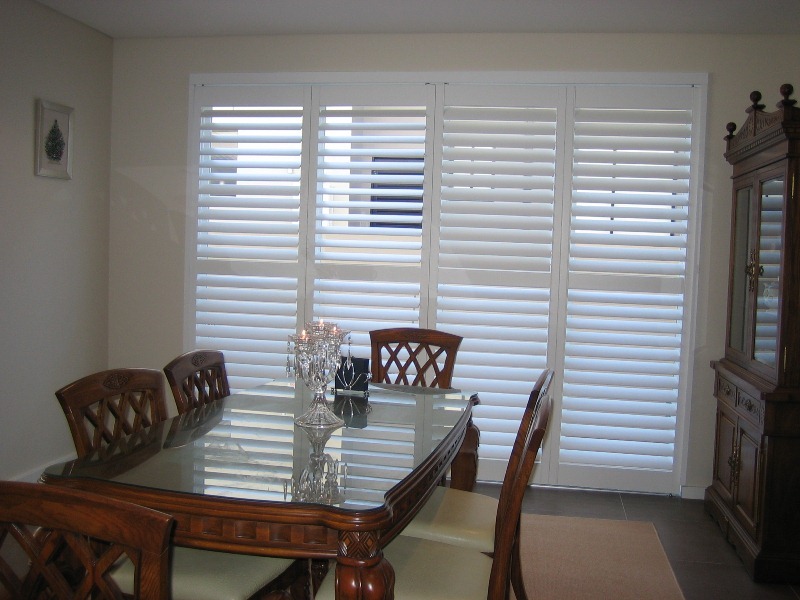 Shutters can also offer a little bit of control in regard to allowing breezes into the room. They’re also easy to wipe clean, and less likely to be damaged by children or pets, unlike blinds and curtains. 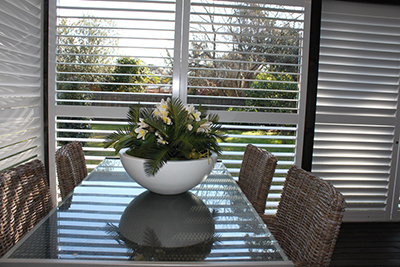 The traditional timber shutters offer natural insulation and sturdier composition, but PVC and aluminium shutters can prevent heat from permeating the room, keeping the indoor temperatures cooler. 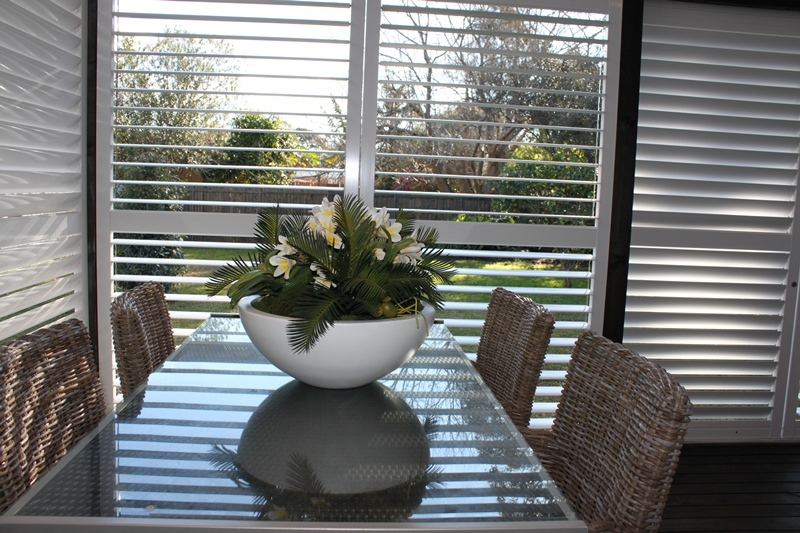 The slats of aluminium shutters are slimmer and come in many powder-coated colours to coordinate with a variety of decor. 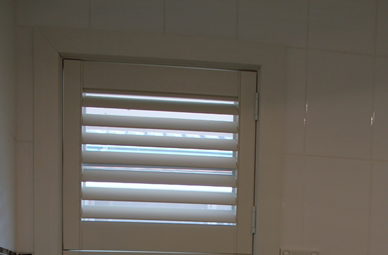 Aluminium plantation shutters would be an excellent choice for areas like kitchens, bathrooms, and outdoors, where they might come into contact with water or heavy moisture. Cleaning couldn’t be easier—simply wipe down the shutters with a damp cloth, or for outdoor shutters, you may rinse them off with a hose. Timber plantation shutters are deemed very desirable by some homeowners, because of their natural look. They also have a high-quality appearance. 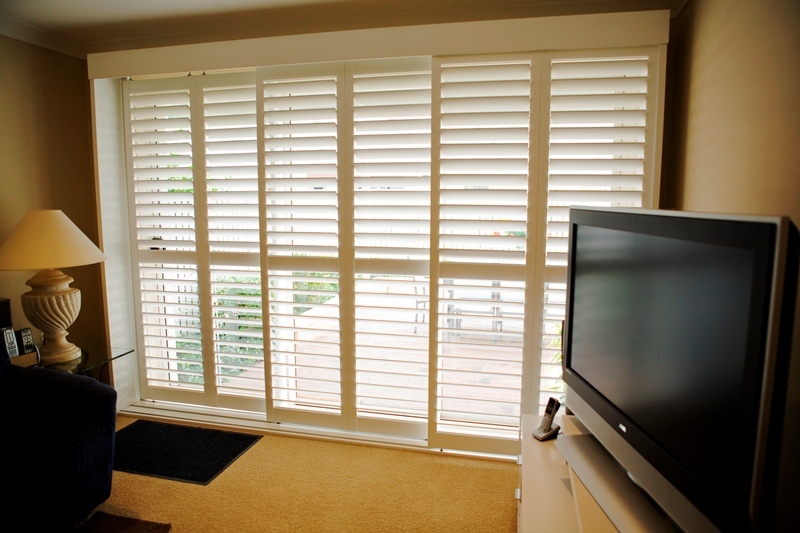 If you’re eager for the natural look of timber shutters, there are a wide variety of timber types available. Ask a reputable supplier (like us) to show you the wood shutter options, and explain the benefits and durability of each type of timber, especially if you’re shopping for exterior shutters. 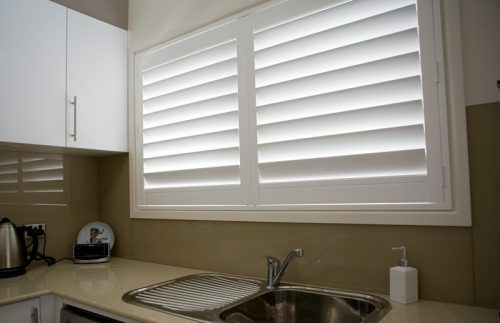 PVC shutters, on the other hand, are the perfect choice for homeowners on a budget. 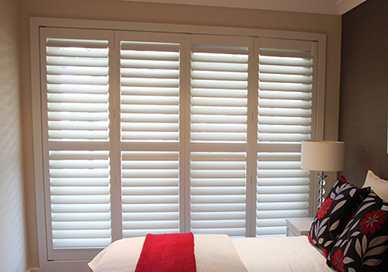 They look very similar to painted wooden shutters, but come at a reduced cost and are easier to clean and maintain. For homes with many windows to cover, cost can be a concern. In such a case, PVC shutters can offer almost the same look as wood shutters, but at a lower cost. Today’s PVC shutters have the added bonus of being fade resistant, UV resistant, and can easily mimic their stylish timber counterparts. They are a sensible choice for areas that may experience moisture, such as bathrooms or kitchens. 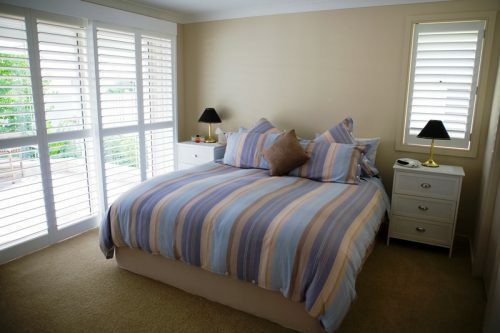 Unlike their staid predecessors, modern plantation shutters are flexible in their usage and styling. For a more traditional look you can choose the traditional style of hinges, but you also have the option of sliding shutters or bifold shutters. 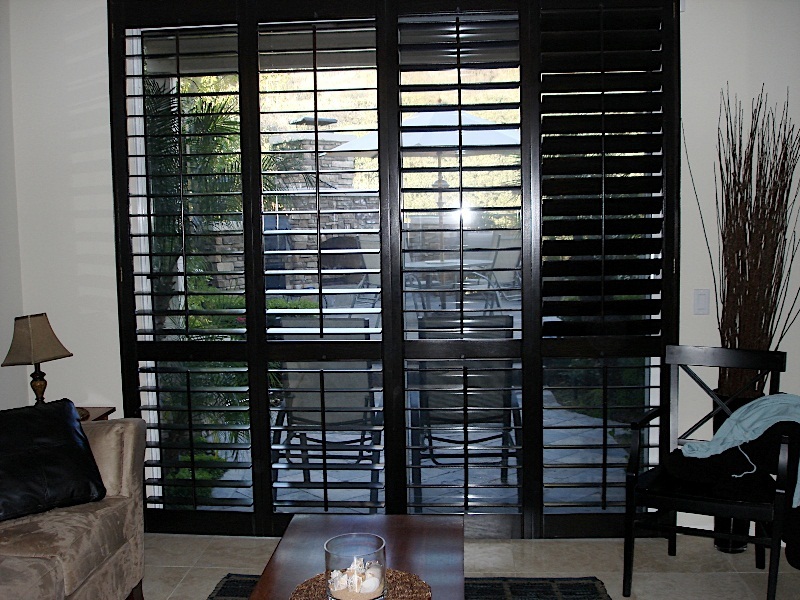 For a unique look, try plantation style shutter doors for your home or your patio. 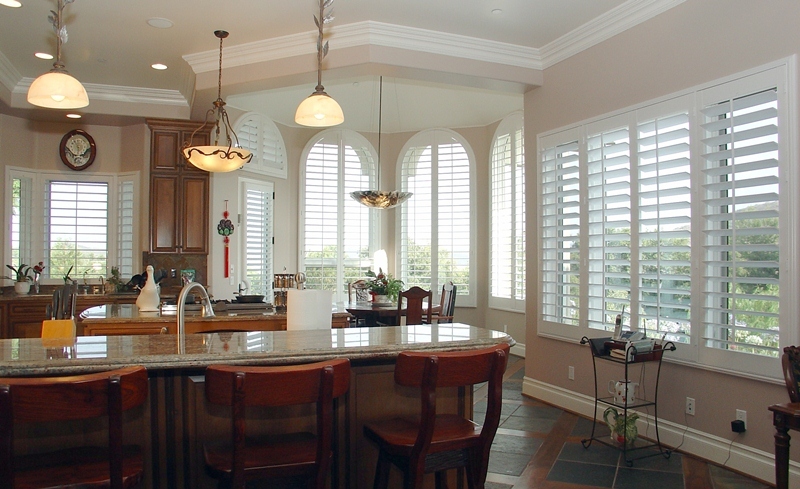 Another offering is the blade width—each option gives a slightly different look to your shutters. The most commonly available width is 90mm, but there are other widths to choose from, and you can even have them custom built to your specifications, giving you the ability to create the exact look and feel that you want. No matter which style or material you choose, these shutters can provide you incredible light control, durability, and easy maintenance, while still giving you that fresh, stylish look that you’re going for. We service all of Sydney including Western Sydney, Northshore, Northern Beaches, Sutherland Shire and Eastern Suburbs. We also service Melbourne VIC so contact us today for a free in-house quote in your area. Made from Basswood or Red Cedar. 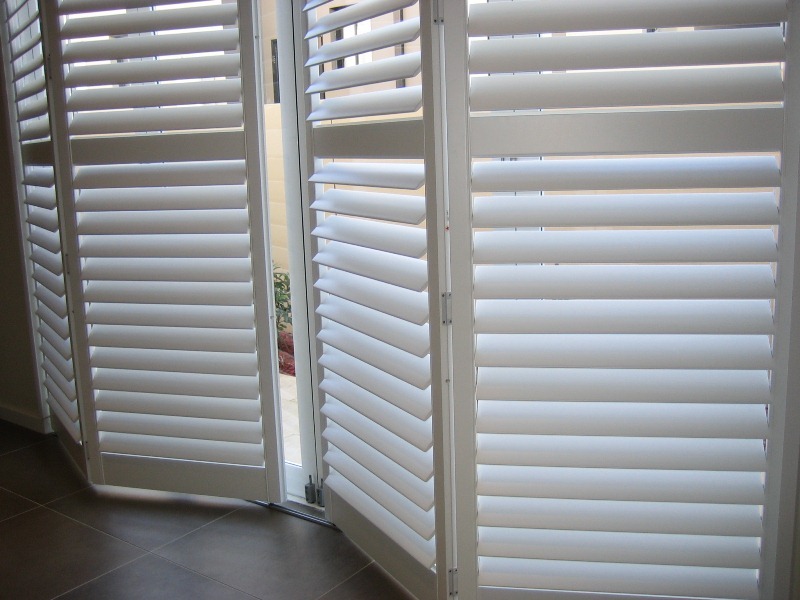 Basswood is a very light-weight, strong hardwood and therefore is a great material for blinds and shutters. 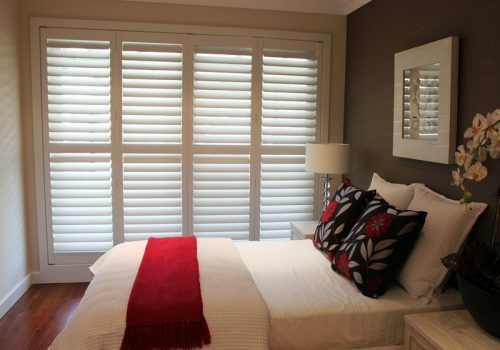 Red Cedar shutters are also strong and lightweight but offer a classic and timeless feel. Ecowood shutters are made from a specially designed polymer foam. This is an incredibly durable non-toxic, artificial foam. Being waterproof and well insulated, shutters made from ecowood are are great in areas prone to elements and weather such as laundries, bathrooms, balconies and kitchens. 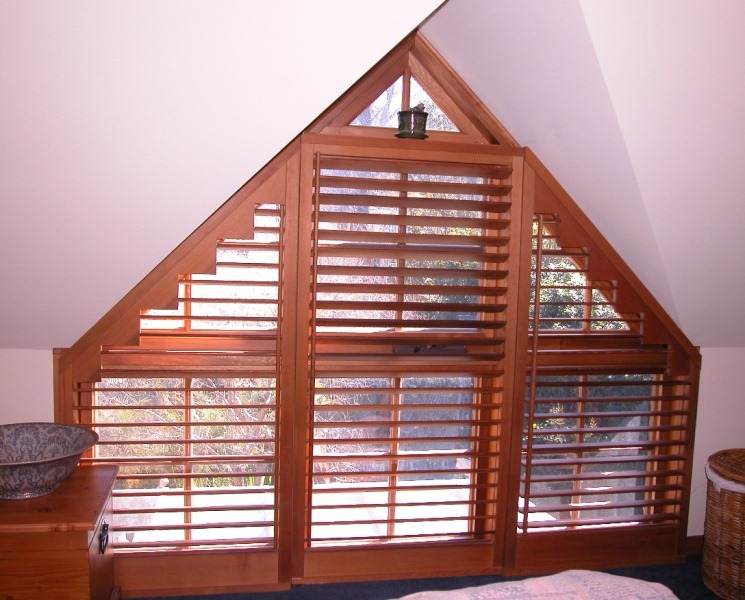 This is a very versatile shutter made by combining the economical and durable properties of Ecowood (PVC) for the blades and the lightweight frame strength, stability and thermal qualities of Red Cedar.